Ask any farmer and they will likely say spring planting is one of their favorite times of the year. It is a chance to shake off the winter weather and look forward to the growing season ahead. It’s also what farm families live for and depend on; the hopes and expectations for a good crop year. News released earlier this year from the USDA noted that 2017 crops were some of the best, adding to that continued hope. Soybean production was at an all-time high with an estimated 103 million bushels produced with a record yield of 53 bushels per acre. Corn growers also saw a record yield with an estimated 178 bushels per acre. And while tobacco may not play the part in the overall farm economy it once did, the 2017 crop saw significant improvement over a disappointing 2016. Last year burley production rose by 21 percent over the previous year while the state’s dark fire-cured and dark air-cured tobacco production increased exponentially over 2016 levels with 73 and 111 percent increases respectively. Chad Lee, Director of the University of Kentucky’s Grain and Forage Center of Excellence said there is always the hope to be in record territory when it comes to crop production. Lee pointed out that along with improved production methods, it really takes good timing weather-wise, as well, to make each crop year successful. This year’s wheat crop is a perfect example of that. Lee noted that wheat producers have faced some early challenges including a wet February which left many fields too wet to work in right now. However, some of this year’s wheat that was planted early has the potential to be a good crop despite the wet late winter and early spring. So far, the weather word this year has been “wet’” with multiple rain and snow events coming especially in February and March. Stuart Foster, Director of Kentucky Climate Center and the Kentucky Mesonet said the long-range forecasts could include more wet conditions but the weather can change suddenly. That forecast comes with the caveat that nothing is a guarantee when it comes to Mother Nature. In fact, this past February was one of the wettest on record, as evident of some of the flooding problems that occurred in different areas of the state. 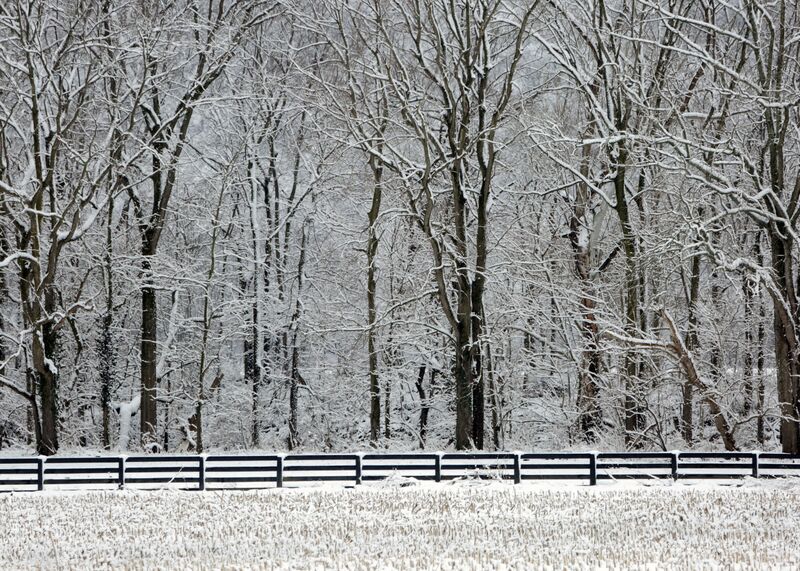 The state precipitation average for February this year was almost nine inches which is nearly double for what some areas in Kentucky normally see during the same period. These conditions followed a below-normal precipitation average for the months of last November, December and January which had forecasters watching for the possibility of drought conditions moving in. In looking deeper into the growing season, Foster said the moisture being received now will collect in the soil and make dryer months ahead more tolerable. Growers here have an added advantage with the presence of the Kentucky Mesonet, a network of automated weather and climate monitoring stations situated across the state. This system not only provides data related to current conditions but allows the ability to track back during the year. For those in agriculture, the Mesonet provides valuable information on a continual basis and Foster said better information helps those farmers make better decisions and ultimately helps them be more competitive in the marketplace.